First of all, I appreciate the fact Disney Movie Rewards exists to give back to the fans. Items can be redeemed after points are earned by buying this company’s products or in going to see their movies on the big screen. It takes a while for members to collect enough points to redeem for some of the cooler products, but when they get delivered, most people would think the utmost care would be put in ensuring no damage happens during shipping. The worse thing that can happen is to find a Funko Pop! 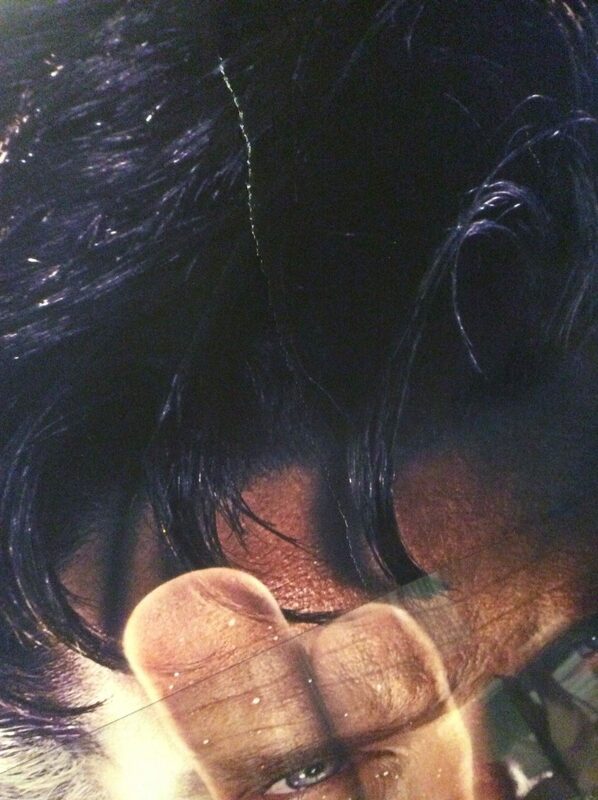 with a crack or a poster with a huge crease (which happened to me) to make it unsuitable for display. This subsidiary’s reputation is not looking too pretty in social media land. On their Facebook page, there are customers who are finding the quality assurance of printed material being sent out nearly nonexistent and points they saved up disappearing. I never had issues with the latter since I’m actively logging in and entering in my movie ticket stubs and DVD purchase codes on a bi-monthly basis. Penny Costley, a Disney Cast Member representative is better at replying to issues through private messages than the stock public response. She must be overloaded with complaints, and I have to give her props for her exceptional patience with the numerous irate customers. I’m tackling the issue head on and suggested to her to get management investigating. As for whether this will happen is beyond my ESP abilities. I can not remote view to know if any action will indeed take place. I hope it will because 2017 is upon us. Hopefully, with a new year can mean a restart for this rewards program with a mixed reputation. I’ve been finding all the posters I’ve ordered and received during the 2016 year to have some kind of damage in one form or another. When the shipping fulfilment center is overworked because of the holidays (perhaps some orders are for Christmas presents), the staff may not be all that caring. During the early part of last year and previous, I did get mint shaped products. Now, these prints have wrinkles to put an old man to shame. When I do get one second-hand, I cannot complain at any normal wear and tear along the edges. That is what makes them authentic. But when I’m ordering direct from the source, the production company/distributor of a film, the assumption is that I should get a product fresh off the rack, with no damage whatsoever. It should be at least near mint in shape. The first item arrived with minor corner wrinkle on one side. This problem can easily be “ironed out” after block mounting. The second has a terrible crease straight through the middle of the image that no amount of lamination can hide (the cheapest solution). I submit visual evidence so no doubt can be said against my claims. As with any warranty repair, it should be sent back before a replacement will be sent out and this subsidary is cool by not asking for the damaged item back, since they might already know not all their warehouse items are truly ship shape. The third print was supposed to be a replacement for the second item (Doctor Strange preview poster, see above). Sadly, when I carefully removed it from the tube, the damage along one-third of the vertical edge made me think whoever was pulling them off the rack (or a bin) was damaging the print intentionally. If the damage is to occur during transportation, it would appear consistently along the entire edge than part of it. The fourth print, a Star Wars: Rogue One poster, has minor tears and crinkles and it should be fixable. I’m loath to take an X-Acto knife to trim off the problem sides of any poster I obtain. However, doing any modification destroys its collectability if it gets sold. When comparing what happens in DMR’s shipment fulfilment centre and eBay sellers sending out the same thing, there’s hardly ever a difference. As Facebook posters have pointed out, there’s no quality control. No one is inspecting the product prior to shipping. In all my years of buying posters online and knowing the advice print shops have given me, the best way to mail a poster is in a huge plastic sleeve. That way, any shaking that occurs from a loose poster inside the tube will most likely not harm the print. Ideally, tissue padding should be put on both sides of the poster tube so any potential movement during transportation can get absorbed. Disney Movie Rewards Order and Delivery center really needs to re-evaluate how their posters are handled prior to packaging up for delivery, because if this continues, I’m better off going back to my other methods of obtaining posters of my favourite films — either at the movie theatre or online, spending a lesser amount of money than more for a ‘freebee.’ I did the math, to get the minimum 750 points means spending approximately $100 in Disney products or seeing their films. As I wait for a replacement Rogue One poster to arrive, I’m hoping my wish upon a star will come true.